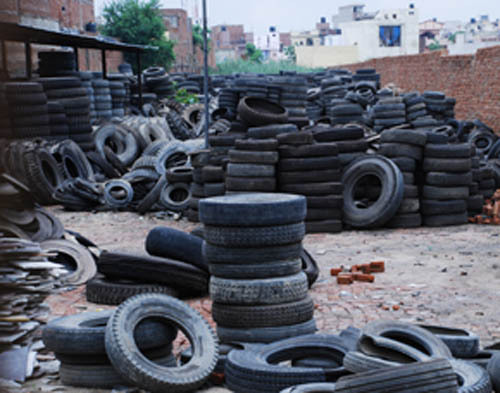 All tyre shops situated in Shalimar Town should complete spray, fogging and other preventive measures until Tuesday otherwise these shops will be sealed, Pakistan Muslim League-Nawaz (PML-N) Member of the National Assembly (MNA) Pervaiz Malik said on Saturday. Pervaiz said that contract of 25 doctors of Kot Khawaja Saeed Hospital has been extended for providing best treatment facilities to patients. He said that action will be taken against officials showing lethargic attitude during the anti-dengue campaign. The MNA said that addressing of 1,598 complaints regarding dengue in Shalimar Town until now was encouraging. He said that it was our national responsibility to take part in this campaign, as anyone from could suffer from this disease. It was in our own interest to make this campaign a success, Pervaiz said. Separately, Pervaiz Malik and Member of the Provincial Assembly (MPA) Chaudhry Shahbaz visited union council (UC) 16 and reviewed the cleanliness campaign. They distributed pamphlets among people and said that dengue could be eliminated through participation of all segments of society. Separately, PML-N MPA Mohsin Latif attended a seminar held under auspices of the Urban Community Project-9 of the Punjab Social Welfare Department on “Youth’s role in campaign of dengue fever” at a public-sector college. Mohsin said that Gulberg Town was not only solving the solution of complaints about dengue on spot but also taking effective measures to provide medicines to hospitals for dengue patients.